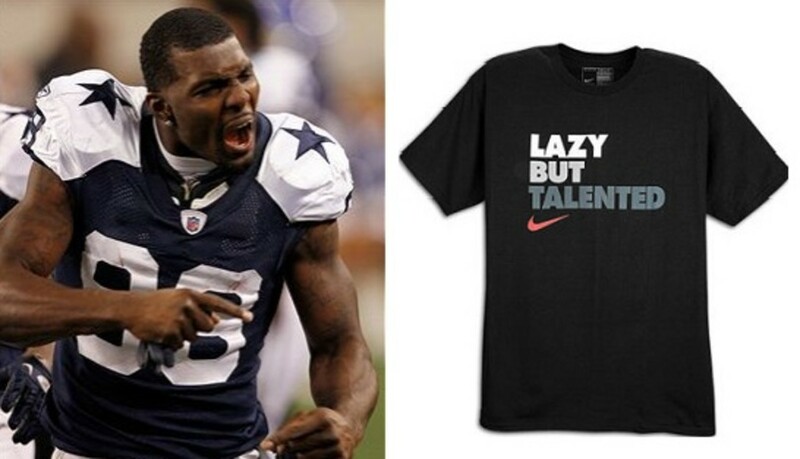 Dallas Cowboys wide receiver Dez Bryant met the criticism that is periodically lobbed his way head-on this past Wednesday when he busted out a shirt that read “Lazy But Talented” in full view of reporters. 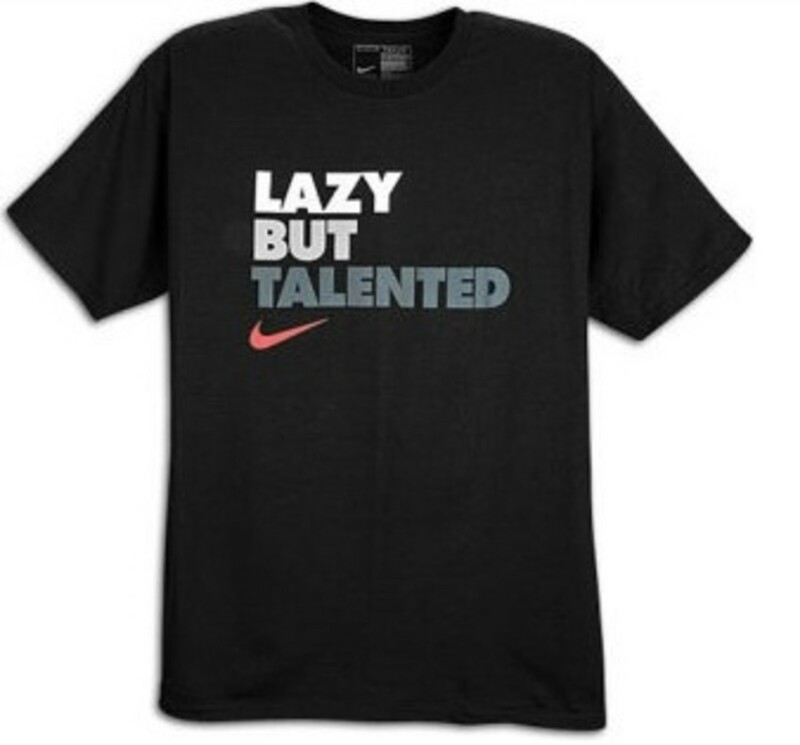 The Nike logo-bearing (bold?) fashion statement was seemingly a definitive response to anyone who calls Bryant lazy. However, as noted by the good folks at Larry Brown Sports, who exactly calls him that? There have obviously been some complaints about Bryant’s attitude, general temperament and pants size in the past, but his work ethic is more or less accepted as being solid. He should take that shirt off and give it to these Green Bay Packers counterfeiters.